Detection of needle tract implantation and peritoneal seeding after radiofrequency ablation using intraoperative near-infrared fluorescence system for recurrent hepatocellular carcinoma: a case report. Splenic vein resection together with the pancreatic parenchyma versus separated resection after isolation of the parenchyma during distal pancreatectomy (COSMOS-DP trial): study protocol for a randomised controlled trial. Long-term outcomes of laparoscopy-assisted distal gastrectomy with suprapancreatic nodal dissection for clinical stage I gastric cancer: a multicenter phase II trial (JCOG0703). Hiki N, Katai H, Mizusawa J, Nakamura K, Nakamori M, Yoshikawa T, Kojima K, Imamoto H, Ninomiya M, Kitano S, Terashima M；Stomach Cancer Study Group of Japan Clinical Oncology Group. Ischemic gastropathy after distal pancreatectomy with en bloc celiac axis resection for pancreatic body cancer. Optimal Timing of Removal of Epidural and Urethral Catheters to Avoid Postoperative Urinary Retention Undergoing Abdominal Surgery. Minimally invasive spleen preservation versus splenectomy during distal pancreatectomy: A systematic review and meta-analysis. 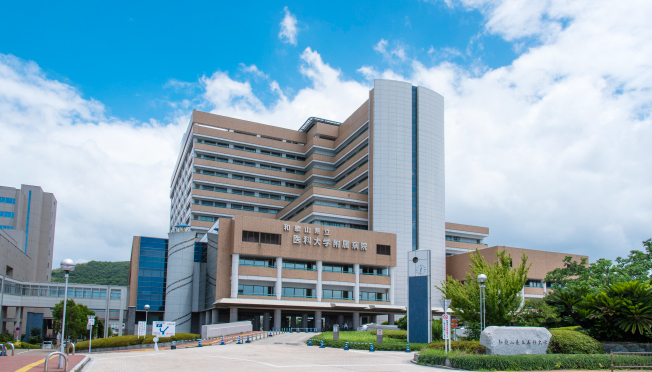 Clinical impact of developing better practices at the institutional level on surgical outcomes after distal pancreatectomy in 1515 patients: Domestic audit of the Japanese Society of Pancreatic Surgery. Mesenteric approach during pancreaticoduodenectomy for pancreatic ductal adenocarcinoma. Characterization of HBV integration patterns and timing in liver cancer and HBV-infected livers. Phase I/II Trial of Chemotherapy with Docetaxel, Cisplatin, and S-1 for Unresectable Advanced Squamous Cell Carcinoma of the Esophagus. Modified Blumgart Mattress Suture Versus Conventional Interrupted Suture in Pancreaticojejunostomy During Pancreaticoduodenectomy: Randomized Controlled Trial. Fundoplication with 180-Degree Wrap During Esophagogastrostomy After Robotic Proximal Gastrectomy for Early Gastric Cancer. A phase I/Ib study of OTSGC-A24 combined peptide vaccine in advanced gastric cancer. Cancer Vaccine Therapy Using Carcinoembryonic Antigen - expressing Dendritic Cells generated from Induced Pluripotent Stem Cells. Pelvic Drain After Laparoscopic Low Anterior Resection for Rectal Cancer in Patients With Diverting Stoma. Using indocyanine green fluorescent imaging to successfully resect metachronous regional lymph node recurrence of rectosigmoid cancer. Reply to Letter to the Editor "Pancreatic Fistula Following Distal Pancreatectomies. It's better Not Looking for It". Prospective validation of patient fatigue questionnaire (FACIT-F) for fatigue assessment in nab-paclitaxel plus gemcitabine therapy. Is distal pancreatectomy with en-bloc celiac axis resection effective for patients with locally advanced pancreatic ductal adenocarcinoma? -Multicenter surgical group study. Genomic Characterization of Biliary Tract Cancers Identifies Driver Genes and Predisposing Mutations. Successful removal of an internal pancreatic stent that migrated into the bile duct using double-balloon enteroscopy after pancreaticoduodenectomy. Indocyanine green fluorescence imaging techniques and interventional radiology during laparoscopic anatomical liver resection (with video). Laparoscopic and endoscopic cooperative surgery is a feasible treatment procedure for intraluminal gastric gastrointestinal stromal tumors compared to endoscopic intragastric surgery. Laparoscopic and Endoscopic Cooperative Surgery Versus Endoscopic Submucosal Dissection for the Treatment of Low-Risk Tumors of the Duodenum. Prevention of Internal Hernia During Robotic Total Gastrectomy for Gastric Cancer. Reply to: The Letter to the Editor "Randomized Controlled Trial of Pancreaticojejunostomy versus Stapler Closure of the Pancreatic Stump During Distal Pancreatectomy to Reduce Pancreatic Fistula". Postoperative Visceral Tissue Edema Assessed by Computed Tomography Is a Predictor for Severe Complications After Pancreaticoduodenectomy.